It is normal to feel worried or overwhelmed when you learn that you will need radiation therapy. The information in this article can help you prepare for your first treatment. Radiation oncologist. This type of doctor specializes in giving radiation therapy to treat cancer. A radiation oncologist oversees radiation therapy treatments. He or she works closely with other team members to develop the treatment plan. Medical radiation physicist. This professional has expertise in radiation equipment. He or she helps design treatment plans. Dosimetrist. This professional helps the radiation oncologist calculate the right dose of radiation. Radiation therapist or radiation therapy technologist. This professional operates the treatment machines and gives people their scheduled treatments. Learn more about the oncology team. Meeting with your radiation oncologist. The doctor will review your medical records, perform a physical exam, and recommend tests. You will also learn about the potential risks and benefits of radiation therapy. This is your opportunity to ask questions. Your team gave you information about your treatment options. You choose to have radiation therapy. You give permission for caregivers to deliver the treatment. You understand the treatment is not guaranteed to give the intended results. Depending on the area being treated, you may receive a small mark on your skin. This will help your team aim the radiation beam at the tumor. These items help you stay in the same position throughout treatment. For radiation therapy to the head or neck, you may receive a thermoplastic mask. This is a mesh mask that is molded to your face and secured to the table. It gently holds your head in place. Your radiation oncology team cares about your comfort. Talk with the team to find a comfortable and reproducible position for treatment. And tell them if you experience anxiety lying still in an immobilization device. Your doctor can prescribe medication to help you relax. After the simulation, your team will review your information and design a treatment plan. Computer software helps the team develop the plan. 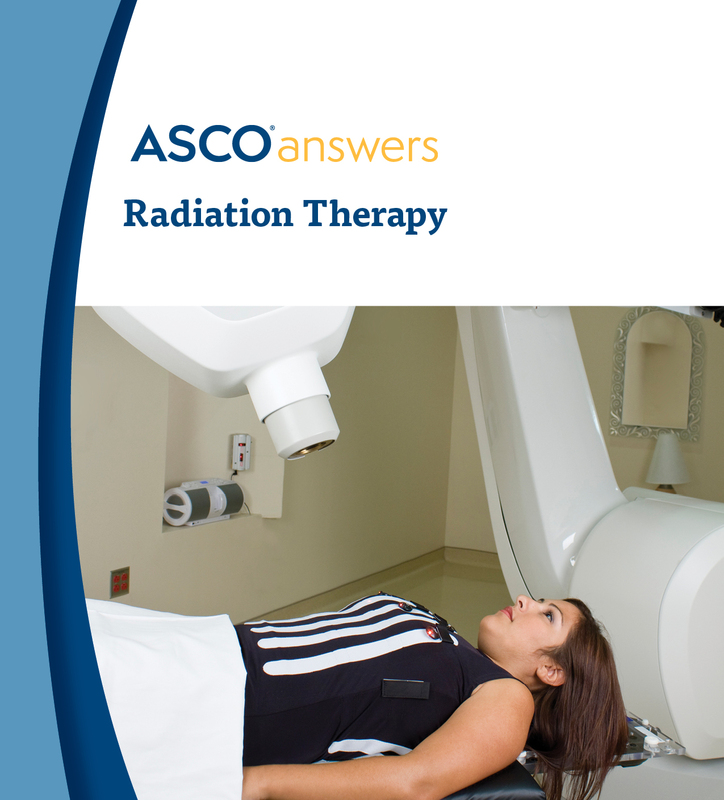 External-beam radiation therapy delivers radiation from a machine outside the body. Each session is quick and painless, lasting about 15 minutes. Typically, people have treatment sessions 5 times per week, Monday through Friday. This schedule continues for 3 to 9 weeks. This type of radiation therapy targets only the tumor. But it will affect some healthy tissue surrounding the tumor. The 2-day pause in treatment each week allows your body to repair this damage. Internal radiation therapy is also called brachytherapy. This includes both temporary and permanent placement of radioactive sources in the tumor site. Typically, you will have repeated treatments across a number of days and weeks. These treatments may require a brief hospital stay. You may need anesthesia to block the awareness of pain while the radioactive sources are placed in the body. Most people feel little to no discomfort during treatment. But some may experience weakness or nausea from the anesthesia. During treatment, your radiation oncologist will check how well it is working. Typically, this will happen at least once a week. If needed, he or she may adjust your treatment plan. Treat skin with lotions approved by your health care team. Minimize exposure to the sun. Learn more about coping during treatment. As your body heals, you will need fewer follow-up visits. Ask your doctor for a written record of your treatment. This is a helpful resource as you manage your long-term health care.